Lodge love. 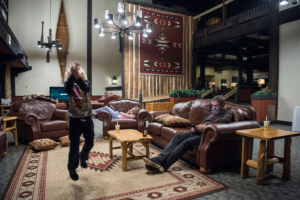 That’s what we call the feeling you get when you enter an inviting, well-worn lodge. 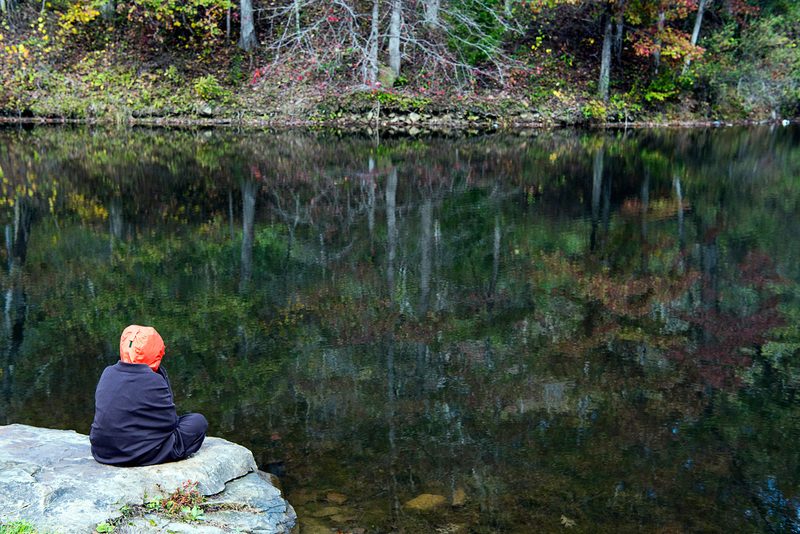 We felt this vibe when visiting the Shawnee Lodge & Conference Center in West Portsmouth, Ohio. 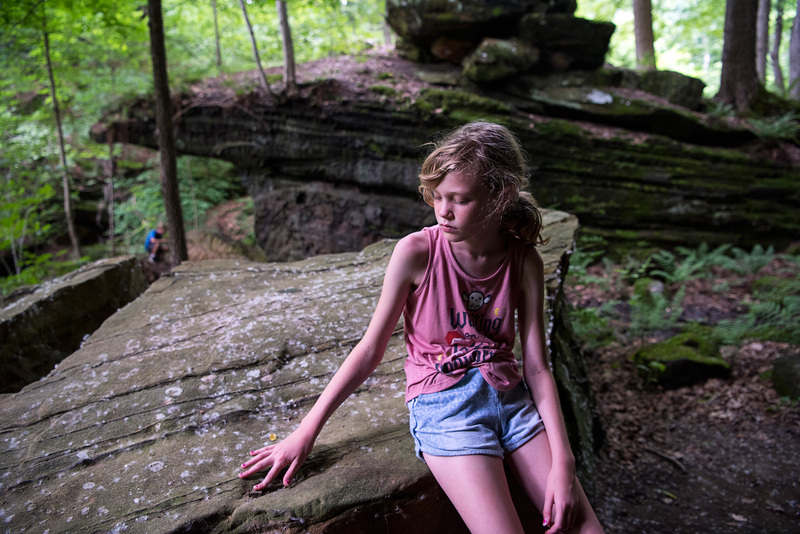 It was our first visit to an Ohio state park lodge. It’s one of eight state lodges in Ohio. We’re now curious to visit all of them at our own pace. 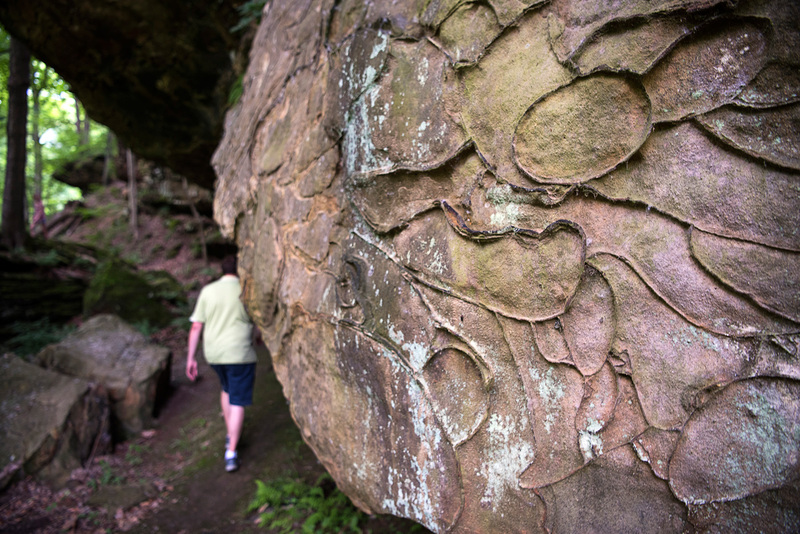 Heck, we liked this one enough to visit it twice – once last fall and again over spring break. First, you’ve got to have a cavernous lobby that somehow connects to the nature of the area. 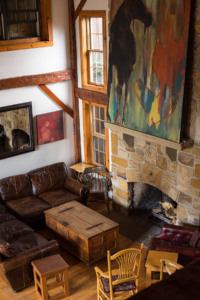 Shawnee has exposed wooden beams, oversized couches and lots of references to the Native Americans who once called the area home. There also are big tables for playing board games that are available at the registration counter. You also need plenty of outdoor pursuits. 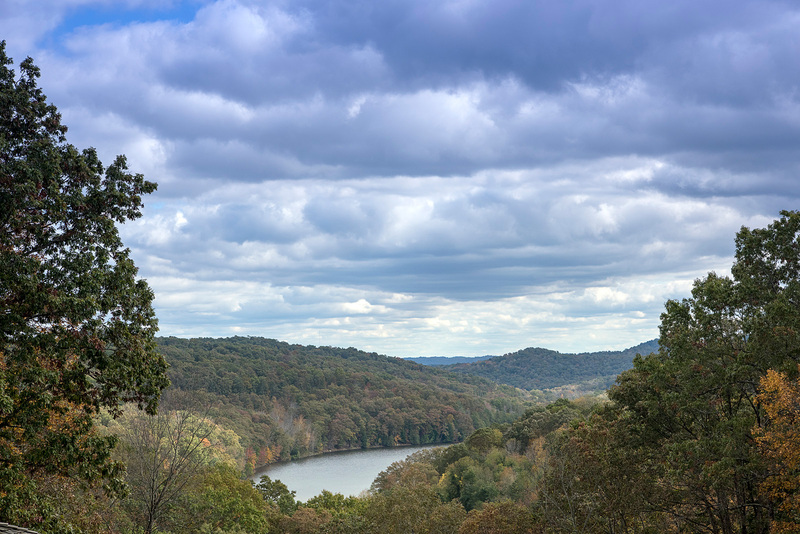 Shawnee Lodge offers access to the largest state forest in Ohio. 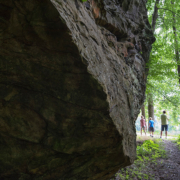 Known as “Ohio’s Little Smokies,” the Shawnee State Forest spans more than 63,000 acres and includes 60 miles of hiking and bridle trails. 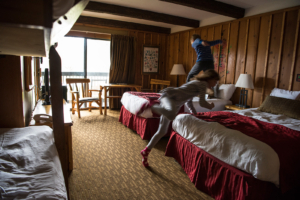 Returning to comfortable lodging that’s slightly rustic, yet modern and practical at the same time, is essential if you don’t like to camp. Our rooms had a set of bunk beds, chunky log furniture and sensible toiletries including pumps of shampoo, conditioner and shower gel. 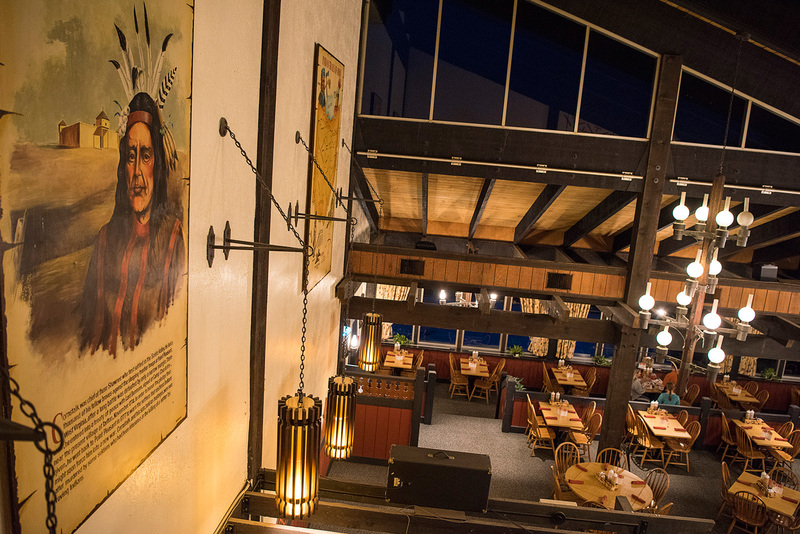 A good lodge also needs quality comfort food in a setting that offers a panoramic view of the property. 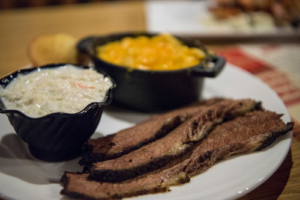 The Smokehouse restaurant at Shawnee offers tasty brisket and other barbecued meats, made-from-scratch soups and a variety of homey classics such as baked spaghetti and meatballs, and liver and onions. 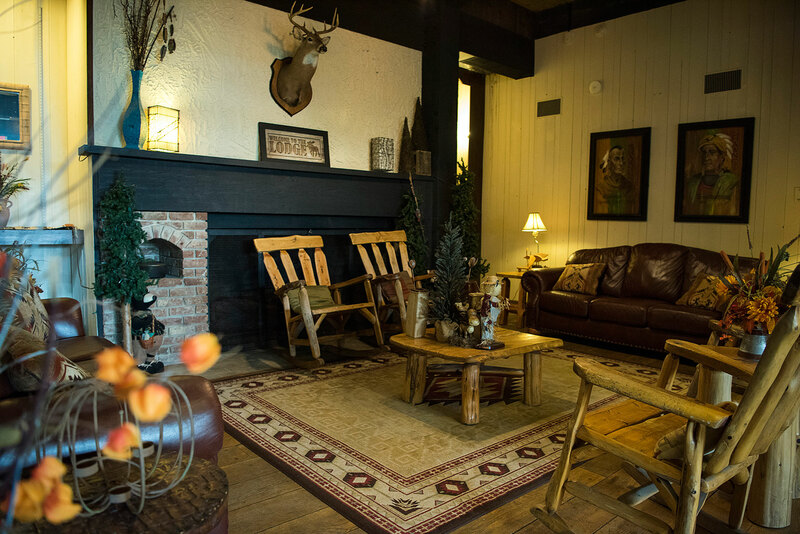 Lively lodges have extra amenities. 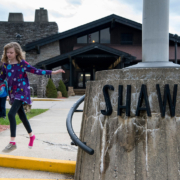 Shawnee offers two swimming pools, Frisbee golf, canoeing, nearby horseback riding and an arcade. 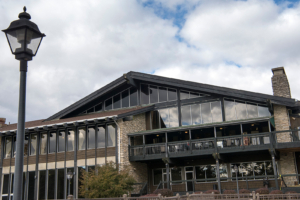 Learn more about the Shawnee Lodge & Conference Center. I’ll never forget my first drive-in theater experience. It was the summer of 1978, and my siblings took me to see a double feature of “Jaws 2” and “Invasion of the Body Snatchers” at the 42 Drive-In in Brunswick, Ohio. I was 8 years old, and I was terrified. But I loved it and returned again and again until the old theater eventually closed, along with so many others like it across the country. 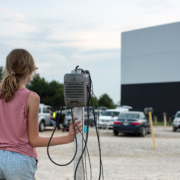 According to DriveInMove.com, there are just 330 drive-in theaters in operation in the United States, two dozen of which are in Ohio. During the happy days of the 1950s, the site says, there were nearly 4,000 such theaters. The sole outdoor cinema in Columbus is the South Drive-in Theater, at 3050 S. High St., which opened in 1950. Customers here have a choice between two screens, each offering a double feature, one of which seems more geared toward families. We arrived 30 minutes before the start of the first movie and found a decent parking spot in the third row. Early birds lined the coveted front row, savoring unobstructed views and a lush lawn, where kids played in the waning shadow of the big screen. We enjoyed making a comfy spot in the back of our SUV and watching the movies through the hatchback. My daughter liked what she called an “old-timey” feel, and I liked sharing a childhood tradition with her. Another perk is that children ages 5 to 11 get in for $2, while kids ages 4 and younger are free. Disappointments were expected and included latecomers with blinding headlights, inconsistent sound from the old speakers, wafting cigarette smoke and pesky mosquitos, despite our attempts to repel them with spray. Speaking of bugs, the theater also hosts a giant flea market on Wednesday, Saturday and Sunday, from March through November. Arrive early for the best finds. Dealers begin setting up at 5 a.m. and most continue selling until 1 p.m. Learn more about the South Drive-In Theatre. 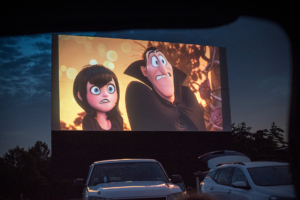 Find a drive-in theater near you at www.driveinmovie.com. 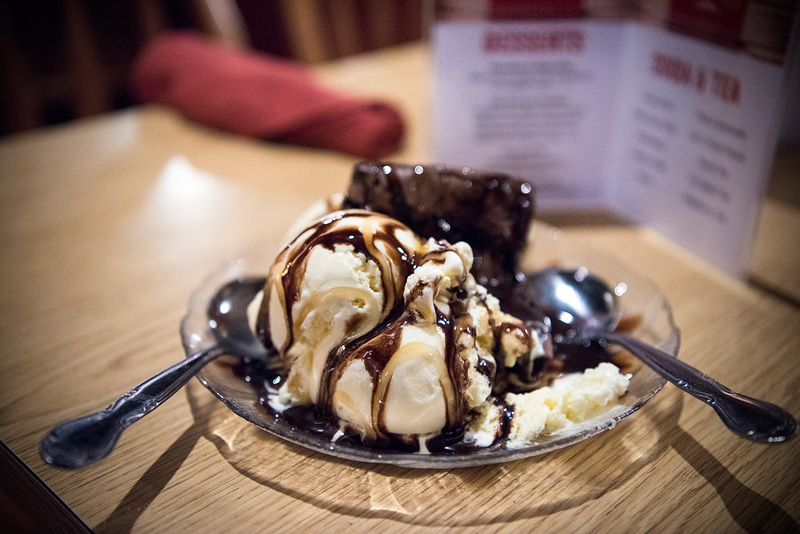 If you’re like us, date nights are few and far between. 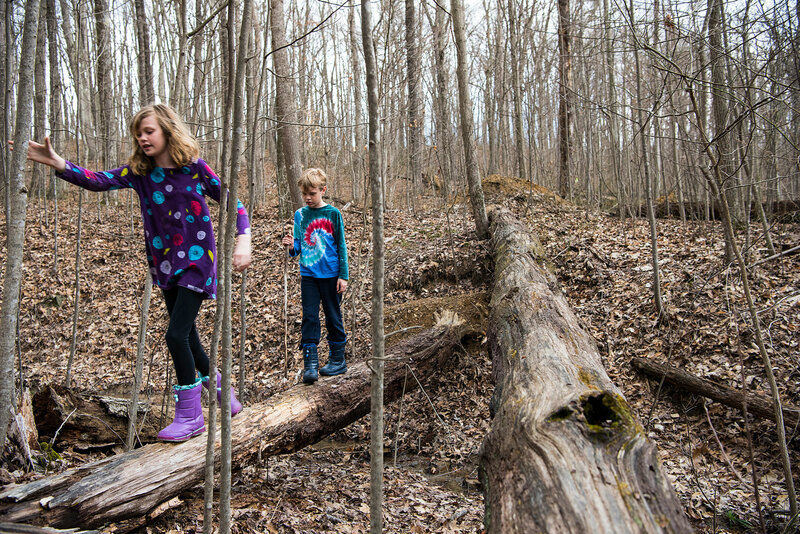 But a lack of short-order sitters and poor planning on our part doesn’t stop us from getting out once in a while for some quality adult time with our kids in tow. 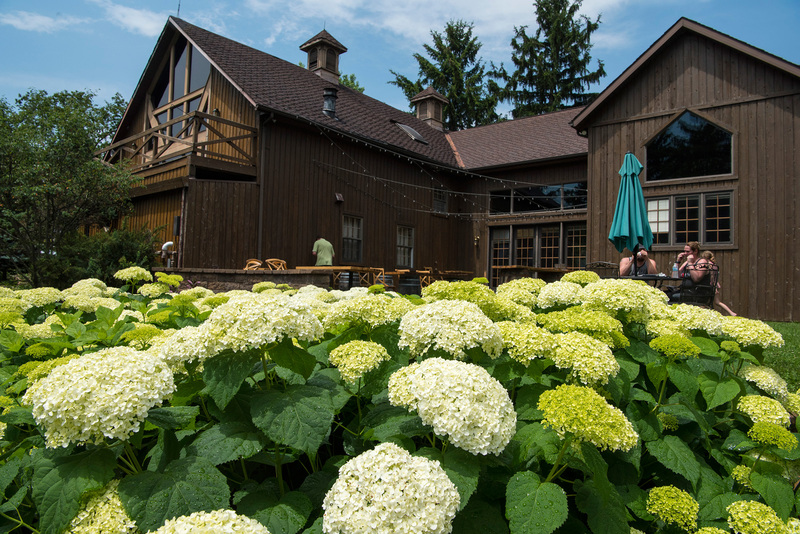 One surprising place to do just that, we recently discovered, is the Rockmill Brewery in Lancaster, 30 minutes from downtown Columbus. 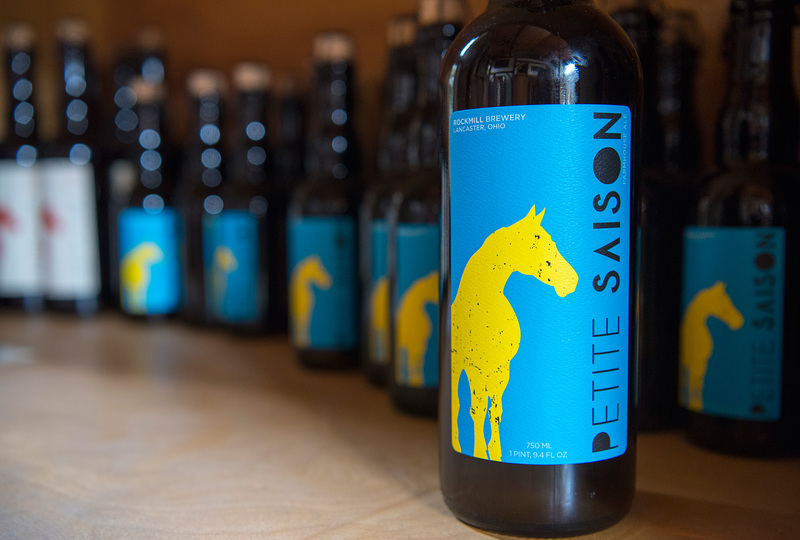 The small-production brewery is located on a former horse farm, and the rural landscape is both romantic and adventuresome. 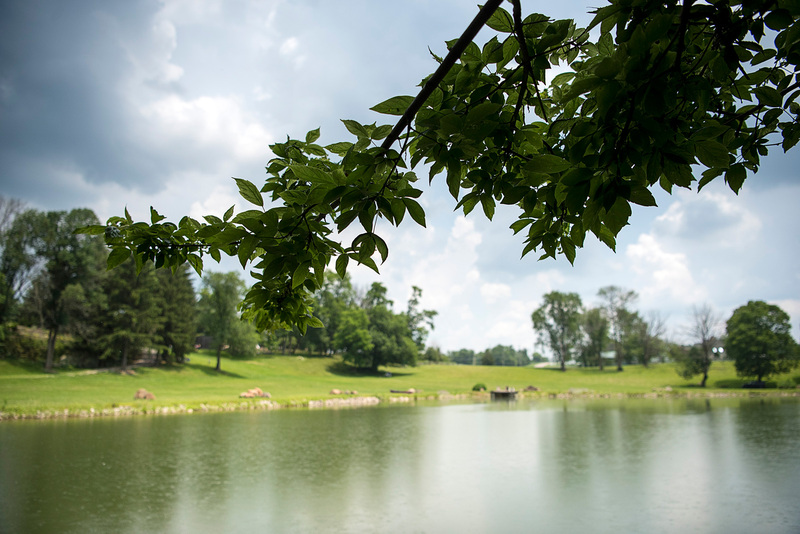 There’s plenty of room to roam, including a fishing pond that reflects the trees around it. 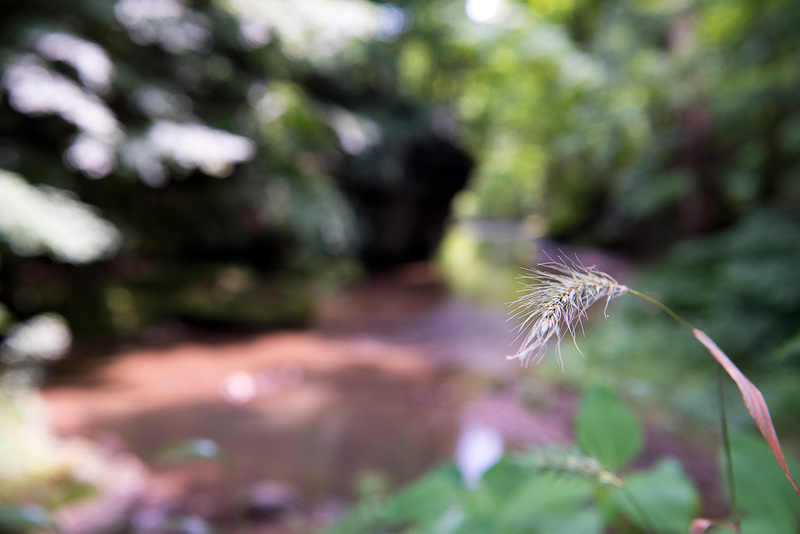 The Hocking River flows near part of the property, resembling a painting, meandering off into the wooded horizon. 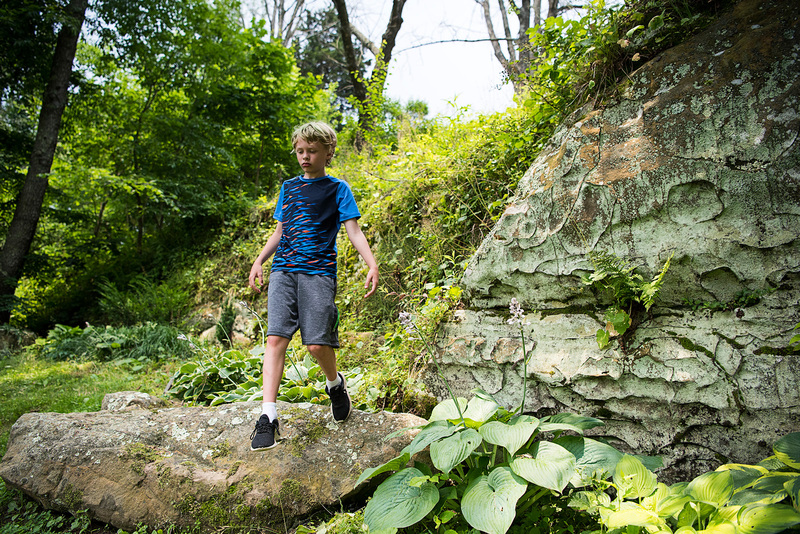 And, even more surprising, there are explorable recess caves. We paid a visit on Father’s Day, and it sorta felt like we were crashing a private party. Folks were nicely dressed, sipping beers on a hillside, as their children played alongside stretched-out blankets. Other guests threw Frisbees and played corn hole, awaiting a band that was scheduled to play in the evening by a small building that resembled a church. 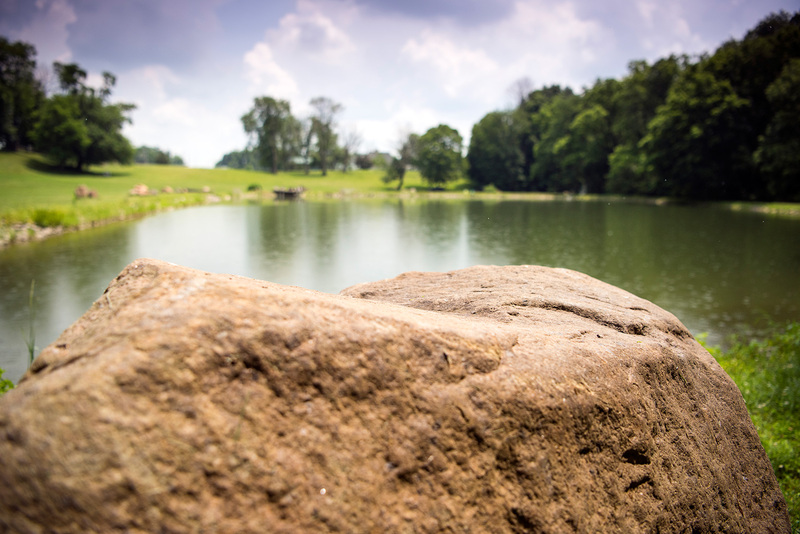 But this, we learned, is how you behave at Rockmill. 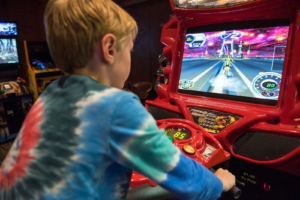 It’s a family affair, and bonding is encouraged. Rockmill opened in 2010, and it’s gotten a solid reputation among craft brewers in central Ohio. 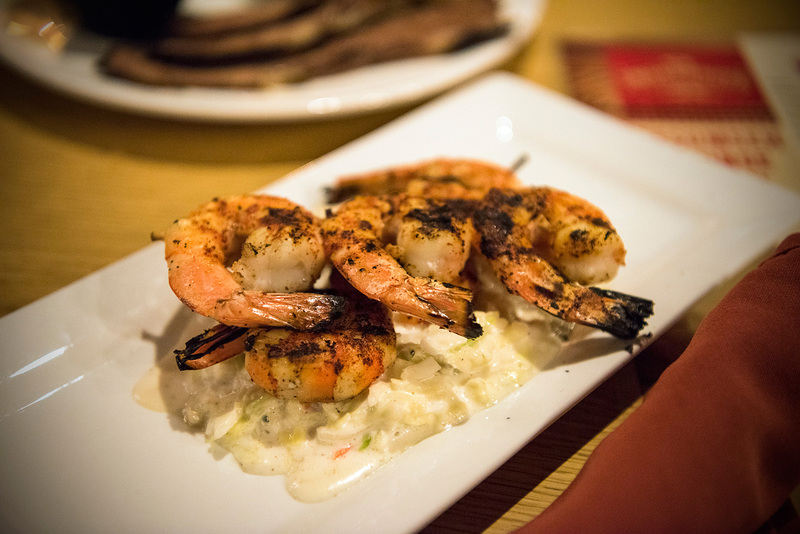 The company also operates Rockmill Tavern in Columbus’ Brewery District. 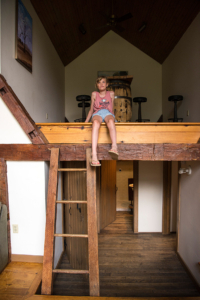 Owner Matt Barbee describes Rockmill as a “Belgian-style brewery,” with added sugars that provide distinct flavor profiles, such as fruit, spice or herbs, in addition to the traditional beer notes that come from grain and hops. The results are big, complex flavors that go far beyond the common lager. 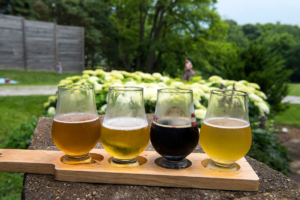 Rockmill’s standard beers are named simply after their style: witbier, saison, dubbel and tripel. 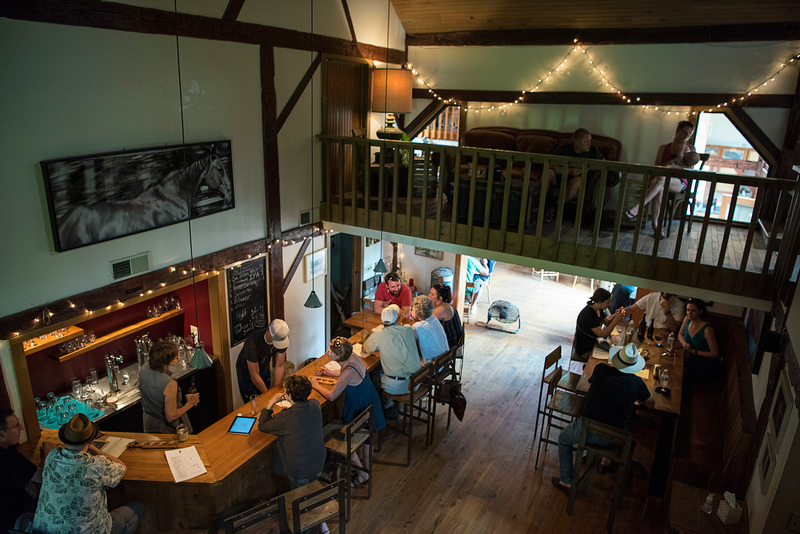 The quaint tasting room was once a horse stable, and there are several nooks and crannies where you can get lost while you indulge in a brew. 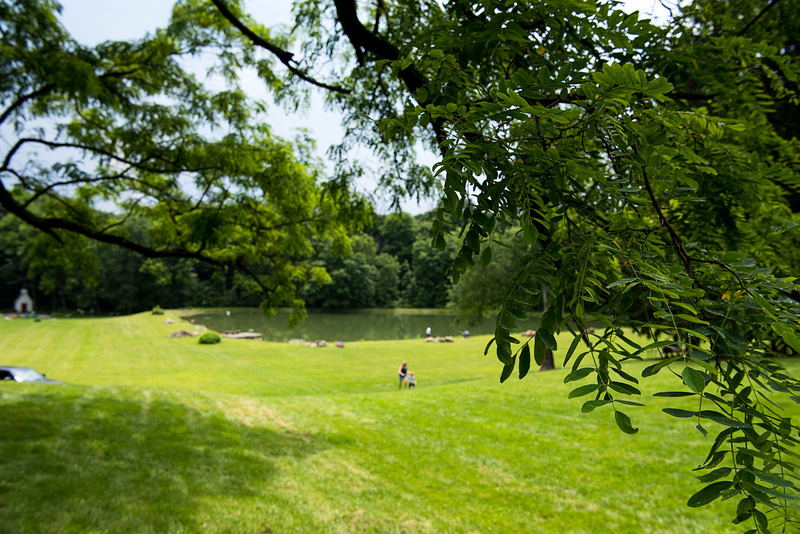 Or, take it outside on the spacious grounds. 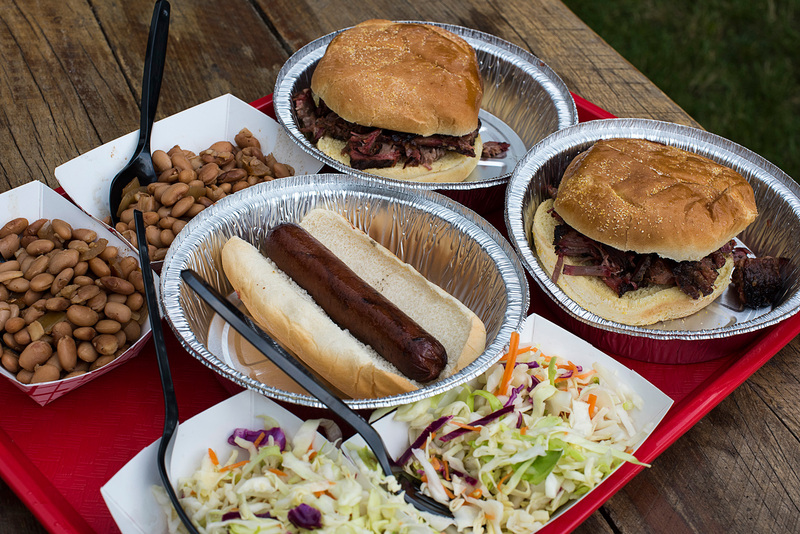 You can bring your own food, or opt for the tasty selections from a food truck outside — Backcountry Barbecue offers standard BBQ fare. Check its website for dates and times of operation. Rockmill Brewery is located at 5705 Lithopolis Rd. NW, Lancaster. Learn more at www.rockmillbrewery.com.